Welcome to the top Greater Daytona Beach and Ormond Beach Broker web site servicing Ormond Beach, Daytona Beach, Port Orange, Ponce Inlet, South Daytona, Ormond by the Sea and other areas including the greater Volusia County, FL areas. With our great experience in East Central Florida, we help both buyers and sellers meet their real estate objectives. We have extensive knowledge of each of the communities located in Daytona Beach, Ormond Beach, Deland & the Daytona Beach Area, Port Orange, Ponce Inlet, Palm Coast, and East Flagler and East Volusia counties and will work tirelessly on your behalf to make your next home buying or home selling experience a pleasant and successful one. When selecting a real estate company in Volusia or Flagler County, strong knowledge of the community, strong negotiation skills, and a commitment to providing excellent service are all crucial elements. For sellers, it is our commitment to help sell your home or property in a timely fashion while helping you attain the highest possible price for your real estate. Our record of success in the area is unmatched! If you are interested in receiving a free home valuation, we encourage you to fill out the free home valuation form. For buyers looking for homes or other real estate opportunities here in Ormond Beach & Ormond By The Sea and or other surrounding communities in Volusia County, Florida, we will work with you to find your dream home. We will provide you with all of the necessary tools for finding the right property. From free access to search all of Daytona Beach & Ormond By the Sea area homes to the ability to fill out My Dream Home Finder Form, everything We can possibly provide will be at your service. In addition, once we've narrowed down what you are looking for, we can begin the home showing process so you can get a closer look at the homes that should be a good fit. We help negotiate the best possible deal for our clients with each and every real estate transaction. 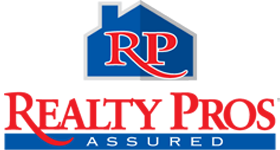 Realty Pros Assured is a full service real estate company that makes personalized care to customers the #1 priority. Established in 2008 by Top Producers Bill Navarra and Buzzy Porter, Realty Pros has grown into a team of more than 195 well-respected professionals. Ranked #2 in sales for the Greater Daytona Area in 2018, Realty Pros provides unparalleled service that uses the latest cutting edge media and technology tools to achieve the highest level of marketing success for their valued customers. As a member of four Central Florida Real Estate Boards, Realty Pros is able to provide Buyers and Sellers with opportunities and exposure from the Atlantic to the Gulf Coast. Because home is where the heart is, Realty Pros is a staunch supporter of many community causes with both time and funds throughout the year. Whether buying, selling, or leasing a home or business, the Realty Pros Family will be there to support you in every way. If you are a buyer who needs a Daytona Beach & Orlando Realtor who can help you in all Volusia, Flagler and Orange County, Florida areas including Ormond Beach & Ormond By the Sea, Daytona Beach & the Daytona Beach Area, Port Orange, Ponce Inlet, Palm Coast, and East Flagler and East Volusia counties, please fill out our Ormond Beach & Ormond By the Sea real estate and homes for sale Buyers Request Form. If you are a seller, who needs a Realtor in Ormond Beach & Ormond By the Sea, Daytona Beach & the Daytona Beach Area, Port Orange, Ponce Inlet, Palm Coast, or East Flagler and East Volusia counties, please either fill out our Ormond Beach & Ormond By the Sea Realtor What's Your Home Worth Form or use my Ormond Beach & Ormond By the Sea, Daytona Beach & the Daytona Beach Area, Port Orange, Ponce Inlet, Palm Coast, East Flagler and East Volusia counties Sellers Request Form. Please note, any and all real estate requests will be responded to in a timely manner. We value your feedback, and if you are a Realtor who has a referral, please fill out the short form below or our general request form. This section is designed to help you understand our commitment to you as a Company servicing the communities of Ormond Beach & Ormond By the Sea, Daytona Beach & the Daytona Beach Area, Port Orange, Ponce Inlet, Palm Coast, East Flagler and East Volusia counties and surrounding Volusia County, FL areas. We specialize in working with Ormond Beach & Ormond By the Sea, Daytona Beach & the Daytona Beach Area, Port Orange, Ponce Inlet, Palm Coast, and East Flagler and East Volusia counties real estate home buyers as well as Ormond Beach, Daytona Beach & the Daytona Beach Area, Port Orange, Ponce Inlet, Palm Coast, and East Flagler and East Volusia counties real estate home sellers. We are designated Ormond Beach & Daytona Beach Realtors which means we maintain the highest possible standards as real estate agents. The Realtor designation means that we are members of the National Association of Realtors, The Ormond Daytona and Port Orange Chamber of Commerce and act according to a specific code of Ormond Beach & Ormond By the Sea , Daytona Beach & the Daytona Beach Area, Port Orange, Ponce Inlet, Palm Coast, East Flagler and East Volusia counties Realtor ethics which guarantees the optimum level of service for your real estate needs when buying or selling a home, commercial property, or condo in these communities. Next time you need a Realtor, be sure to contact us for success.